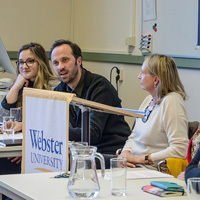 Webster Leiden's International Relations Department welcomed humanitarian perspectives on a global scale to start the Spring 2019 semester. Visiting leaders from Malaysia, legal experts and NGO coordinators from around Europe engaged students in Leiden, while local trips and regional conferences brought them into the field. 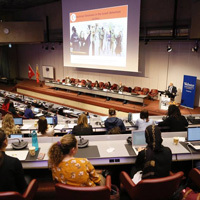 Webster University Geneva’s Department of International Relations, together with the Webster Humanitarian Association (WHA), held its 24th International Humanitarian and Security Conference (IHSC) on March 7-8. This year’s conference, “Rebalancing International Humanitarian Law (IHL) and Human Rights: The Significance of the 1949 Geneva Conventions Seventy Years On,” included a gripping and motivating keynote address by Dr. Gilles Carbonnier, Vice-President of the ICRC and Professor of Development Economics at the Graduate Institute of International and Development Studies. 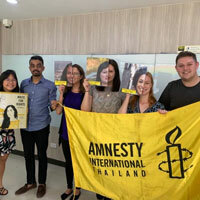 Graduate students in the international relations program at Webster University Thailand were hosted by Amnesty International Thailand (AI). Arranged by Professor Latifa Laghzaoui of Webster University, this meeting with AI was an opportunity to explore the organization’s work both in Thailand and internationally. The topics focused on AI’s work with urban refugees in Bangkok and their human rights activism globally. 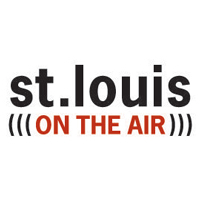 President Stroble was Don Marsh's guest on "St. Louis On The Air" to discuss Webster and Ghana; the interview can be heard online. ... In an article published in Austria's Die Presse, Franco Algieri analyzed the recent calls for a European army by French president Emmanuel Macron and German chancellor Angela Merkel. 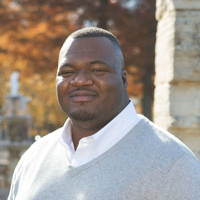 ... Nurse Anesthesia student India Johnson's interview on homelessness outreach is now viewable online at The Pulse. 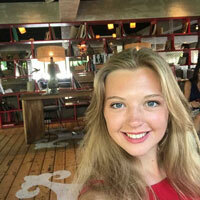 Hannah Emerson, who is studying International Relations through the Combine Degree Program offered at Webster, won a Citizens for Global Solutions contest which sent her to the organization’s national conference in Washington D.C., Citizens for Global Solutions Annual Board Meeting, Nov. 9-12. 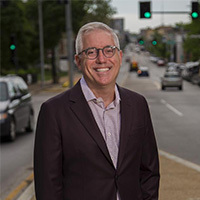 Emerson won the contest with her essay, “Urbanization: A Global Problem with a Global Smart City Solution,” which explored her international experience and how Smart City policies can help alleviate the problems that come with urbanization. 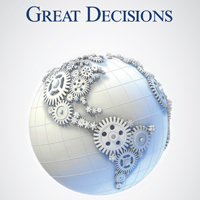 Webster University Geneva will take part of the 2018 Geneva Peace Week, Nov. 5-9. This year’s theme “Peace Building in a Turbulent World” will highlight the urgent need to develop peaceful solutions caused by violent conflict. 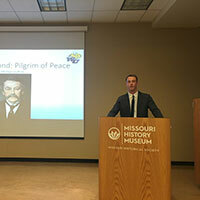 Webster University Geneva jointly organized one event for the 100th commemoration of the End of the Great War, "Italy and the Allies: War Goals and Post-War Disillusions". 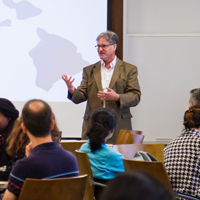 Webster University Thailand’s faculty members, Kenneth Houston and Robin Ramcharan, along with scholars from around the world, contributed to “The Rohingya Crisis: A Multidimensional Tragedy” International Conference in Bangkok on Aug. 24. 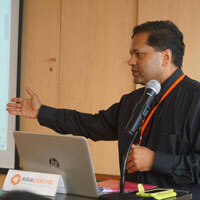 Ramcharan presented analysis of the role that ASEAN has (or has not) played in the crisis, while Houston analyzed the official discourse of Myanmar’s government.